With the reopening of Mariposa Grove in Yosemite National Park this summer, wheelchair-users and slow walkers have an additional mile of accessible trails to explore. Not only did the three-year project increase accessibility in this popular national park, but it also restored the ecology of the grove and improved the overall visitor experience. 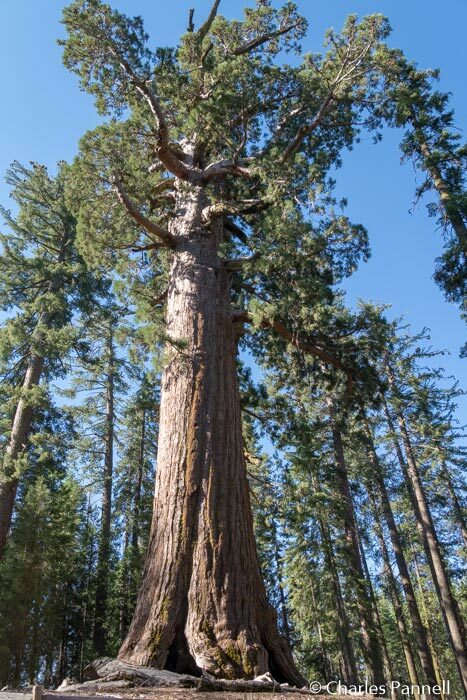 The result is a healthier grove of over 500 giant sequoias — a grove that everyone can enjoy. The ambitious project began in the spring of 2015, when Mariposa Grove was closed to the public. Previously a tram tour took visitors through the grove, but it was feared that continued vehicle traffic there would damage the roots of the giant sequoias. 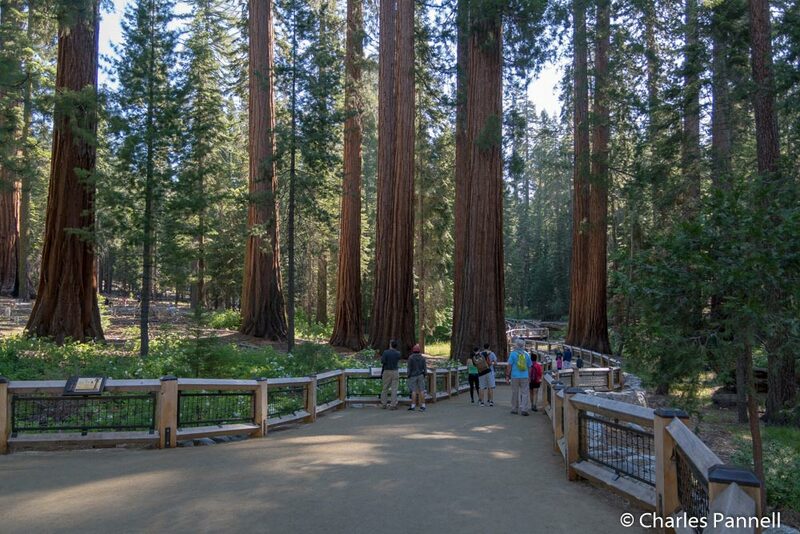 In an effort to protect the giant sequoia roots, 20,500 feet of asphalt was removed from the grove, and replaced with natural surfaces and boardwalks. Additionally, drainage issues were addressed, and Rattlesnake Creek once again flows through the grove. And finally, all commercial operations — including the tram tour and the gift shop — were removed from the grove, so visitors can now enjoy Mother Nature’s pristine beauty without any outside distractions. Access was factored into the project from the planning stages, and as a result wheelchair-users and slow walkers have a choice of ways to experience the grove. Vehicle traffic is prohibited beyond the new Welcome Plaza, but visitors with a disabled parking placard can drive to the grove and park near one of the two new accessible trails. Alternatively, they can park at the Welcome Plaza and take the wheelchair-accessible shuttle bus to the Mariposa Grove Arrival Center. The easiest accessible trail begins at the Mariposa Grove Arrival Center, across from the shuttle bus stop. The .3-mile Big Trees Loop features wide level pathways and boardwalks, with benches to take a break along the way. Although this accessible trail loops back around to the parking lot, there’s also a short accessible jag out to the Fallen Monarch — a sequoia that came down more than 300 years ago — midway along the trail. Even if you can’t do the whole loop, take some time to enjoy the sequoia forest on the boardwalk near the beginning of the trail. Visitors with a disabled parking placard can also drive over to the trailhead for the accessible portion of the Grizzly Giant Loop. From the parking area it’s a level .1-mile walk through the forest to the Grizzly Giant Loop, and another 425-foot stroll on a wide level trail to the tree itself. The California Tunnel Tree, which was carved out as a novelty for stagecoaches in 1895, is another 425 feet down the trail. It’s a nice photo op and you can walk or roll through this giant today. After the California Tunnel Tree, the trail continues back through the forest to the Mariposa Grove Arrival Center; however it loses its access in another 425 feet, due to rocks and a steep grade. Still it’s a lovely 2/3-mile out-and-back stroll, and it offers visitors a very accessible overview of the lower grove. And although it’s a bit longer than the Big Trees Loop Trail, you can still get a good view of the Grizzly Giant from the trailhead. Either way, make sure to include the new and improved Mariposa Grove on your next Yosemite visit.